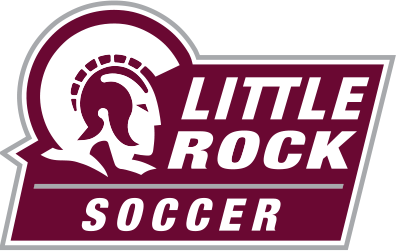 Doro Greulich scored a pair of key goals as the Little Rock (LR) women’s soccer team beat Georgia State (GSU) 3-1 in Atlanta on Sunday afternoon. Greulich, a sophomore from Potsdam, Germany, leads the Trojans (9-7-2, 4-3-2 Sun Belt) with eight goals this season. Greulich’s first goal came in the ninth minute of play and was the only scoring play of the first half. She struck again early in the second half, along with Morgan Smocovich, who scored in the 61st minute. GSU (3-11-3, 1-7-2) got its lone score from Siobhan Wilson in the 55th minute. LR outshot the Panthers 14-8 in the second half, and 18-10 overall. The Trojans held a 9-4 advantage in shots on goal. Megan Swanson, goalkeeper for the Trojans, played all 90 minutes and recorded three saves. The Trojans committed 10 fouls compared to just two for GSU. LR will finish its regular season at conference-best South Alabama next Friday, Oct. 27, at 7 p.m. The Sun Belt Tournament is slated to begin Wednesday, Nov. 1. Log-in using your NetID and password.